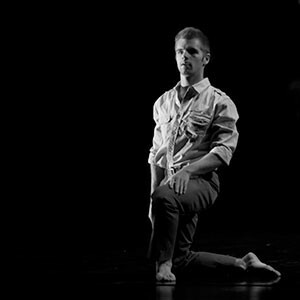 Repertory Dance Theatre will be kicking off its '13-'14 season tonight at the Rose Wagner, focusing on the legacy the 48 years-running company has created in the state. 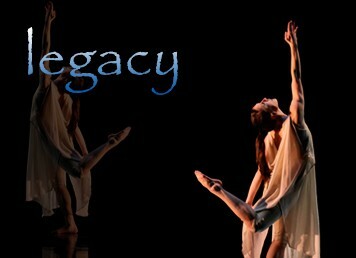 --- Legacy will run Oct. 3-5, featuring works from José Limón, as well as former RDT alumni Bill Evans and Ze’eva Cohen, along with guests from the BYU Division of Dance, who will perform to a Zoltan Kodaly score. That's one hell of a way to kick off your season in a year that looks to be exquisite for fans of the art. Today, I chat with two of the newest dancers to join Repertory Dance Theatre, Alyssa Thompson and Tyler Orcutt, about their careers in dance and joining the Utah company, their work so far with Legacy leading to opening night, and thoughts on the local dance scene since coming here. 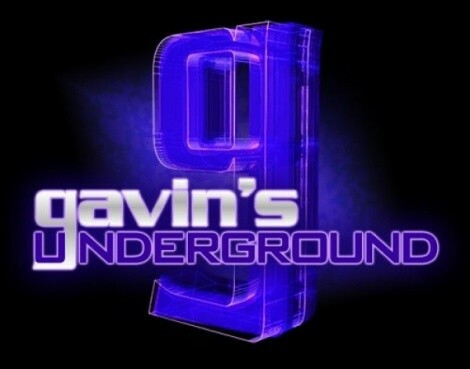 Gavin: Hey, guys. First thing, tell us a little bit about yourselves. Alyssa: My name is Alyssa. I was born in Georgia and grew up in South Florida. I went to college at New World School of the Arts/University of Florida and this is my first year with RDT. Tyler: Hi, Gavin. Here’s a little bit about me: I was born and raised in Ohio. Halfway through my freshman year in high school, I moved to Florida. The beach is one of my favorite places, and I drink two to three glasses of milk every day. Gavin: How did you each take an interest in dance, and what influenced you to start performing? Tyler: My dad is a professional ballroom-dance instructor and competitor, so I started learning how to dance from him when I was a kid. I started dancing competitively with my cousin when I was about 11 or 12 years old. Competitive ballroom is a lot different from other styles of dance because you don’t perform on a stage, so at the time, I never thought of it as performing, I was just having fun. Alyssa: I began to show interest in dancing when I entered high school, so I auditioned for their dance team, which turned out to be the color guard team. So, I was introduced to performing and movement that way. When I was 17, I went to apply for a receptionist position at a dance studio and they said they needed teachers assistants and they offered me free dance classes with working there, so I started taking them. The dancers at the studio were very talented and driven and I was instantly hooked. Gavin: Starting with you, Tyler: You started in ballroom dancing and then went into ballet early on. What was it like for you learning those two different areas before hitting modern dance? Tyler: There were definitely both advantages and disadvantages to having my ballroom background before starting ballet and modern. I had a strong sense of musicality and I wasn’t afraid to move. However, in terms of choreography, I relied pretty heavily on ballroom for quite a while. I also had no experience with the type of upper-body movement and floor work that modern dance requires. Gavin: You received your BFA from South Florida. What made you decide on SFU, and what was your time like there? Tyler: There are a lot of amazing dance programs out there, but I ultimately decided on USF because of the faculty. I did a lot of research and had seen some of their performances, but there was one specific moment when I realized that USF was where I wanted to train. I was taking a released-based master class while still in high school with one of their modern-dance professors, Michael Foley, and I remember not being able to grasp anything in class, movement, concepts, etc. I was basically all over the place -- haha! But I knew in that instant that that was how I wanted to move. I was extremely fortunate that my time at USF was during a time of transition of faculty. Because of this, I had the opportunity to work with the older professors before they retired and the newer professors as they entered the program. It was an awesome experience, and I still stay connected with a lot of my former professors. 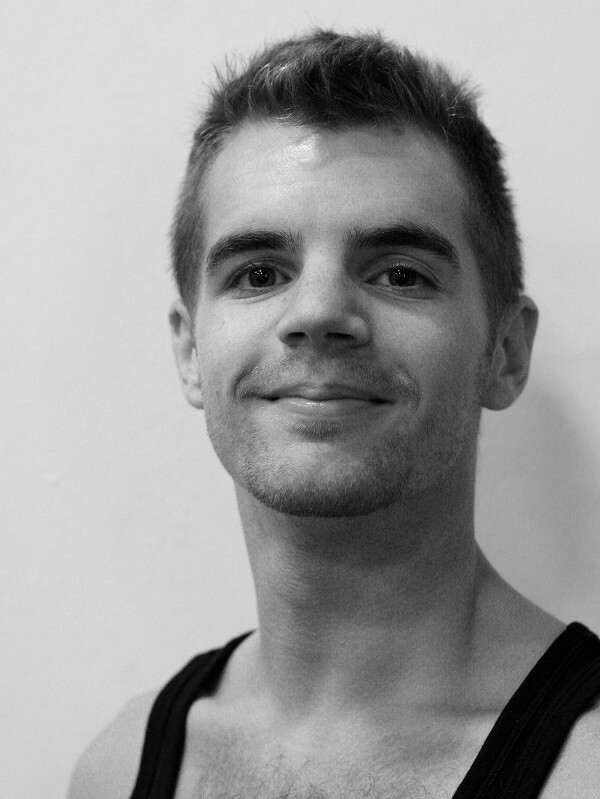 Gavin: What was it like for you breaking into professional dance and performing around the country? Tyler: Being a part of RDT this past year has been an amazing experience, and touring is always a blast. It’s encouraging to be surrounded by such talented artists every day. It’s humbling, too, because you realize that just because you’re done with school doesn’t mean you’re done learning. I’m always learning something new each day and growing with the rest of company as a result. Gavin: Alyssa, you started at age 17 and learned both ballet and modern dance from the New World School of the Arts. What was it like for you starting later than most dancers and honing your skills in your late teens? Alyssa: It was very difficult entering New World. I had no experience with ballet or modern because my dance studio was competition driven so I did a lot of jazz, acrobatics, and contemporary styles, which I felt I progressed well in. I had a tough time in the beginning at New World, learning everything I could in four years that most learned in 15. I was scared and embarrassed a lot, thinking I wasn't good enough, but began to come out of my shell my junior year when I realized I was starting to get the hang of everything, and I was able to push forward from there. Gavin: You received your BFA from the University of Florida. What made you decide on its program, and how was the program for you? Alyssa: At the time, I didn't know much about dance or choosing a program, so I decided to stay close to home in my process of finding a college, and lucky for me, New World was closest to me and ended up being a phenomenal school! I didn't even know that I would end up with a degree from UF, I just wanted to dance. Gavin: During your college years, you performed with some expert choreographers. How was it getting that kind of an education while still earning your degree? Alyssa: This is what makes New World so incredible. We were exposed to so many of the great choreographers and dancers and taught how it is to be in a dance company. There was no doubt it was difficult having 8 a.m. dance classes Monday-Friday with rehearsals all evening, but it prepared us for our future as dancers. Gavin: What brought both of you to Utah, and what was it like joining RDT this year? 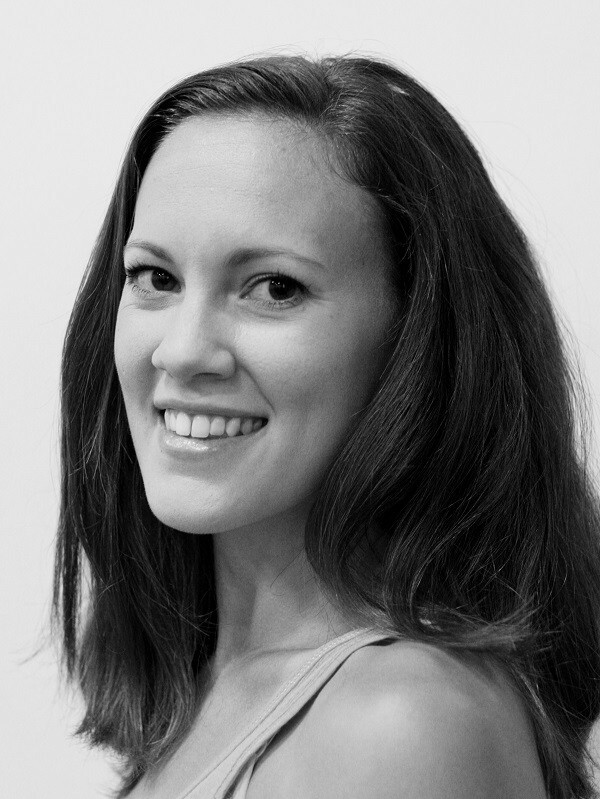 Alyssa: I had an interest in moving to the West for a while, and I heard of RDT through Patricia Lent, who was setting a Merce Cunningham piece at my school. It's been an adventure, moving from Florida for the first time and dancing full time. I'm really enjoying it and taking it all in right now. Gavin: When did each of you first learn about Legacy, and what did you think of the plan for the show? Tyler: It was sometime last spring, I think, when I remember hearing about what we’d be doing for the next season. The show is going to be really fantastic; I’m excited for it. Alyssa: We started right away learning pieces, and I loved the plan for it being a historical modern-dance show. I am a bit of a dance nerd in that I love classical modern dance, so to be performing pieces from the originals is very inspiring for me. Gavin: What kind of a challenge has it been for both of you learning the performances? Alyssa: It has been a mental challenge, for sure, because you learn so much rep your first year in such a small period of time. But, all the new members have had tons of support from the senior company members so that I feel a lot more calm going into the upcoming performances. Tyler: For me, the greatest challenge is having to switch styles and techniques for each different piece we’re performing. Gavin: How has it been for both of you working with each other as well as the rest of your fellow performers? Tyler: Working with everyone is really easy and a lot of fun; there’s no competitiveness at all. It’s a very encouraging atmosphere because we’re all there to help one another do more than what we could yesterday. Alyssa: It's been amazing coming here, knowing nobody and finding a home at RDT. The company has become my family and I admire all of them. Gavin: For each of you personally, what has been your favorite piece from Legacy? Alyssa: I love "Missa Brevis" by Jose Limon. The process of learning from Nina Watt to finding my own voice in it has been a beautiful experience. Tyler: My favorite piece in the show is "Missa Brevis." Tyler: I feel prepared and ready, so now I’m just excited to perform. Alyssa: I feel very prepared to perform after learning these pieces from such prestigious dancers and choreographers, and I am super excited for opening night! Gavin: Going local, what's your take on the Utah dance scene, both good and bad? Alyssa: Coming from Miami, where the dance scene is impeccable for young dancers but lacking for professionals beyond college, I am so happy to be a part of this supportive community here. I love that dance and the arts are so highly encouraged in public schools. It seems like there is a lot to be offered here and I hope it keeps growing! Tyler: Utah has a lot to offer. I’ve seen a lot of performances and have taken a lot of classes this past year and I’ve always been really impressed with the caliber of dancing and teaching. I’ve even had the opportunity to take some classes branching off into new areas -- for me -- like whacking, capoeira, and acroyoga. Tyler: I would love to see more collaboration between the dance companies. I think it’d be great to have some more shows similar to The Rose Exposed, which is a concert RDT is a part of, where a few different companies -- dance, theater, etc. -- each perform one piece. Alyssa: I haven't been here long enough to find that it is not prominent. I am loving all the support of the arts here. Alyssa: There is a ton of talent here. I actually just saw Ririe-Woodbury last night and it was a beautiful show. I look forward to seeing all of the local companies in the coming year. Tyler: I really love the work of the other dance companies here. With such a huge variety, there really is something here for everyone to appreciate. Tyler: Train hard and really put yourself out there. Attend workshops, take classes and perform whenever you have the opportunity. The dance community is so small, so make connections with everyone you can and don’t burn bridges. Also, learning to budget is really important! Alyssa: Never give up. I know it's cliche, but if you love it, it will happen. It all depends on you and your determination. Alyssa: I look forward to expanding my artistry and going on tour. One of my goals as a dancer was to be in a company that tours because I love to travel, so this will be the highlight of my year! Tyler: Lots of hard work and performing! Gavin: Is there anything you'd like to promote? Tyler: Our Legacy concert next weekend, Oct. 3-5. Also, we have new dance classes being added to our community school, which started Sept. 30. All the information for that is on our website.